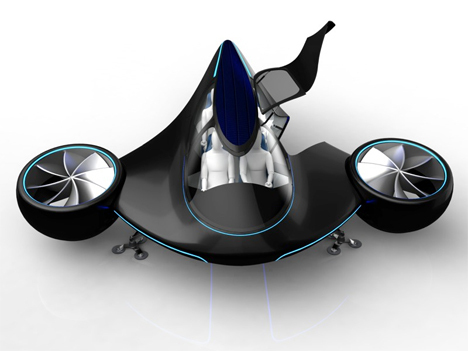 Real flying cars are actually zooming into the realm of reality, but that’s not stopping dreamers from coming up with some pretty outrageous and far less possible designs. 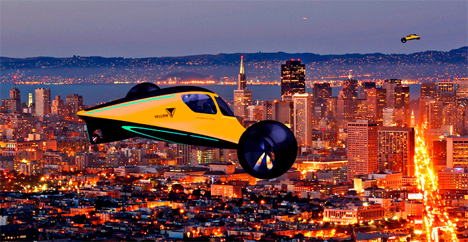 The Skylys Project from Mix Aerospace is an electric vehicle that combines the best attributes of an electric car, a helicopter, and an airplane. Skylys is a VTOL (vertical take-off and landing) vehicle, capable of taking off from a stationary position just like a helicopter. 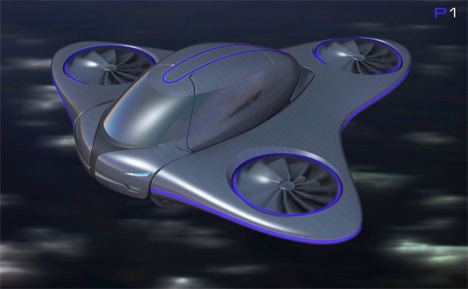 It’s hard to tell from the scant information on the company’s website, but in the concept renderings the Skylys seems to have two versions: a vehicle with permanent multi-directional propellers and one that features separate car and wing modules. 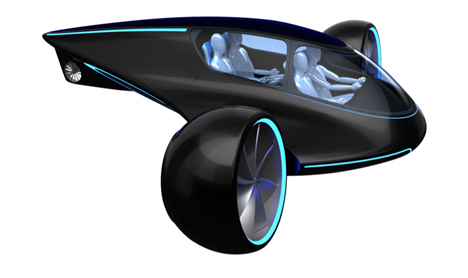 The second version of the car allows you to drive around on four wheels in a vehicle small enough to navigate tight city streets. Then, when you need to travel a long distance or just want to circumvent ground traffic, you back the car up into the wing assembly which attaches securely, turning your car into a flying machine. 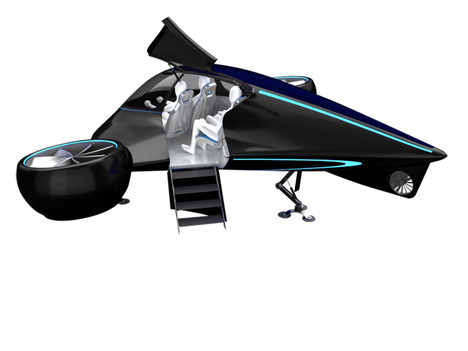 Mix Aerospace believes that the first viable uses for the Skylys will be emergency responders like ambulances and police officers. But the ultimate goal would be to get the cars into the driveways of regular people at some point. Right now Mix is still trying to get funding to get their company off of the ground and take the Skylys from a concept to a working prototype, which they believe could happen around 2018.